Admission to The History Museum of Burke County is free. 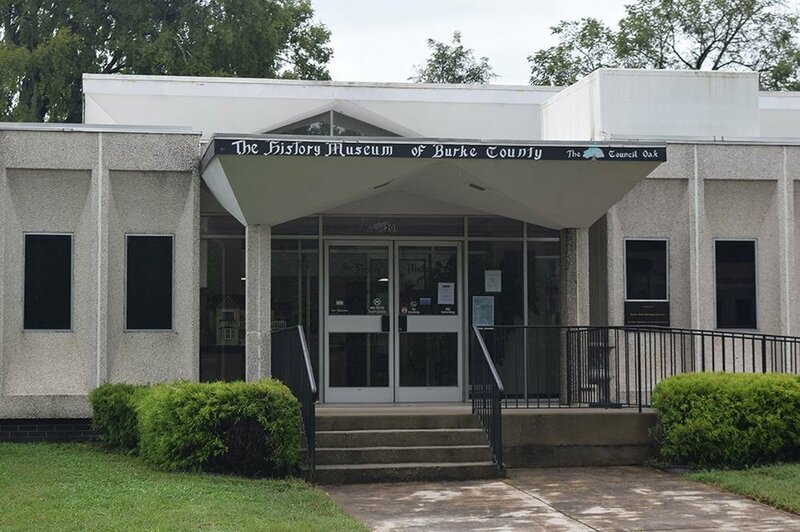 With numerous collections, The History Museum of Burke County is a great place for the whole family to explore Burke County’s past. A new exhibit is coming to The History Museum of Burke County. Remembering Burke County Furniture Companies will explore the history of furniture in the area. Established in 2003, The History Museum of Burke County began to gather and display artifacts of our heritage for future generations. This story spans thousands of years from the time Native Americans lived and hunted in this region. In 1567 Spanish soldiers under Captain Juan Pardo constructed Fort San Juan near present day Morganton. In the early 1700s traders, missionaries and settlers arrived. Burke County was established June 1, 1777. The 19th and 20th centuries witnessed a gold rush and the rise of timber, textile and furniture industries and an influx of state institutions. The museum is dedicated to preserving and displaying our heritage for both current and future generations. Special exhibits and events are scheduled during the year and published in a quarterly newsletter and area media. Artifact collections change regularly – so please visit often. All store sales are final. Donations that are duplicated or made for incorrect amounts will be refunded when necessary.